Literally, dyscrasia means “a bad mixture of liquids.” Historically, dyscrasia referred to any imbalance of the four medicinal humors professed by the ancient Greeks to sustain life (phlegm, blood, black and yellow bile). Artisans, anatomists, and chemists of the Renaissance expressed shared interest in the humors; accordingly, the scope of humorism evolved to include aspects of the four alchemical elements (water, air, earth and fire) and psychological temperaments (phlegmatic, sanguine, melancholic and choleric). 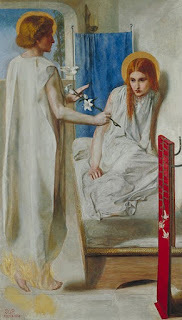 In short, the humors are mystical media of color, energy, and emotion; Dyscrasia Fiction presents them as spiritual muses for artisans, sources of magical power, and contagions of a deadly disease; the books explore the choices humans and their gods make as a disease corrupts their souls, shared blood and creative energies. 1) Andrzej Sapkowski's Witcher Series. Read the series that spawned a video game. 2) Review-Starved Books: Spread the good word about under appreciated Sword & Sorcery books by writing and sharing reviews. Author: Andrzej Sapkowski / Cover art by Alejandro Colucci for the Spanish edition of The Last Wish and Time of Contempt. Serpent Goddess Katrina Sisowath - Interview by S.E. The series of "Art & Beauty in Weird/Fantasy Fiction" interviews engage contemporary authors & artists to reveal their muses; this one features Katrina Sisowath, contributing author at Ancient-Origins.net. The Doom of Undal is a beautiful blend historical fiction and alchemical fantasy (Doom-S.E. review and Fall of Undal -S.E. review). The Dragon Court series continues with the recently released Fall of Undal. Let's learn about the author’s muses. Thanks to Katrina Sisowath for sharing her weird attraction to serpents, mythology, and sacred pregnancies! Katrina Sisowath, (1979--) British-American, born in Frankfurt, Germany. Grew up in South-east Asia and Europe, now lives in England. Mother of 2.5 children (dog thinks he's human), experienced in making brownies. On a personal level, Katrina is an avid book reader and loves mythology, history, ancient civilizations and anything to do with occult ideologies and practices. Mages, Serpent Priestesses and the 'real' Gods, aka the ANNUNAKI (the prototypes for those we know today in the form of Greek, Roman, Indian and even the Biblical characters) are all addressed on her website, with descriptions of Dragons, consciousness altering drinks and powders and what the scarlet clad priestesses really got up to in their sacred chamber. She also is a guest writer on Ancient Origins, writing about the Serpent Cult, Mystery Schools and their politico-military branches. 'Serpent Priestess of the Annunaki' (Dragon Court Series #1), published by 5 Prince Publishing was released June 19, 2014, quickly rising up the Mythology charts, becoming a best-seller. This was followed by Doom of Undal (#2, 2015), and now Fall of Undal (#3, 2016). 1) SE: The Dragon Court series seems to be both alternate history and mythology. The Annunaki deities in your books appeared based on a variety of ancient cultures (Greek, Roman, Indian and even Biblical characters). Can you reveal inspirations, both real and fantastical? Likewise, are there some design aspects, such as associating certain fictional-characters with particular real-cultures? KS: The Dragon Court is based on the ancient Serpent Cult, which seems to have originated in Sumer and spread to Cambodia, China, India, Egypt and eventually Europe. I’ve studied the works of authors such as Arthur Waite, Dr Waddell, Laurence Gardner, Gerald Gardner, Philip Gardiner and Gary Osborn, who have researched various aspects and written very interesting books. My inspiration comes from their research as well as mythology, the occult and even the Bible (which has a lot to say about Serpents). I’ve found that there are a lot of correlating accounts between the various mythologies, so that the same stories are told in many countries, with the gods and goddesses given different names. 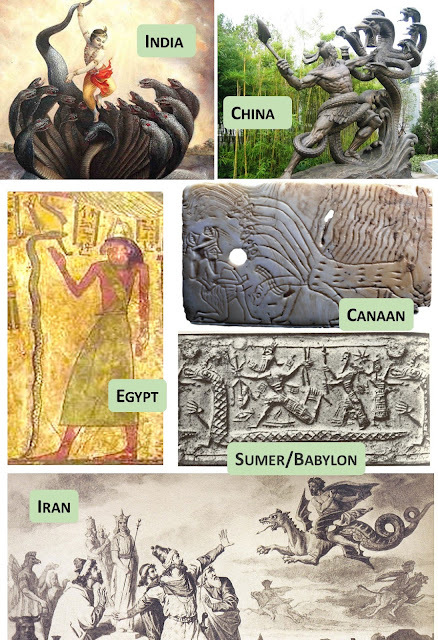 The fact that many of them are tied in some way with the dragon or serpent mythology led me to create a world in which figures like Innana were real and the Serpent Cult was a powerful entity of kingdoms devoted to the religion. It may have been the first advanced civilization which kept its power through sending emissaries to newly developing kingdoms, offering wealth and knowledge in return for fealty, with a marriage cementing the deal. This may be why most of the Royal Families of today claim descent from a Serpent Prince or Princess who had come from over the seas. What’s interesting is that it’s through that marriage the Royal Family was able to claim divinity. It is this idea that the Serpent Cult existed and was focused on protecting its bloodline that sparked the story in my head. In some accounts they were wise and noble, in others they were a danger to humanity. I hope to be able to balance both accounts in the Dragon Court series, showing those involved to be fallible and thus capable of being good or evil. 2) Are you afraid of snakes in real life (or serpents in your dreams)? If so, is it therapeutic to create art (i.e.,write) about your fears? Did you ever have a nightmare about giving birth to a serpent? KS: I'm not actually scared of snakes, I once thought a wire in our garden in Indonesia was a snake and my mom caught me pulling it out of the ground (luckily in time). I'm more likely to scream when I see a mouse than a snake. I do find these images disturbing, though, and I wonder if they spark the same response in others. So if there is therapy in my writing, it's trying to come to terms with the emotions I feel when I see these images and balance the stories about them with the writings of David Icke and Graham Hancock. I still don't know what to make of them. I think I find the legacy of family, beliefs and expectations to be quite terrifying and restrictive (descendant of Jewish Huguenots, have traced our ancestry back far enough to learn the names of those sent to the stake) in terms of how others view you and how you view yourself and your family tree. I've never dreamt of giving birth to a serpent, but I have worried about passing on my fears, faults, and foibles to my children. 3) "The Doom of Undal" had an interesting blend of young female protagonists involved with some fairly dark rituals, especially with pregnancy. What is your take on balancing the "beauty" many associate with woman & birth against "darkness"? KS: I know that in many stories, particularly romance tales, the idea that a man and woman fall in love and pregnancy is the result is treated as the most wondrous moment of their lives. And it can be, but there is also the issue of arranged marriages, difficult pregnancies and traumatic childbirths, and I think in the ancient world the news that you were about to be married would have been terrifying for a lot of girls. I think the expression on Mary’s face in this painting sums it all up (see inset). With Serpent Priestess of the Annunaki, I focussed on the beginning of a bloodline and the rituals, beliefs and procedures fomented to protect it. With The Doom of Undal, a lot of time has passed and the children born into the Dragon Court have their paths set out for them almost from birth. Yet the question is what happens when they choose their own path? What are the consequences? For women, in particular, when the emphasis is on maintaining a bloodline, there is perhaps no greater act of rebellion than in choosing to have a child ‘without permission’. The Undal books look at the weakening of the bloodline through inbreeding, the old guard still maintaining strict control on each generation and follow three sisters from childhood into adulthood. The eldest does as is expected, while the two younger deviate from the norm. But only one causes a great schism and worldwide war. Although the Dragon Court series is fantasy, I still try to maintain a sense of realism in the storyline and the characters themselves. 4) What are your artistic muses? 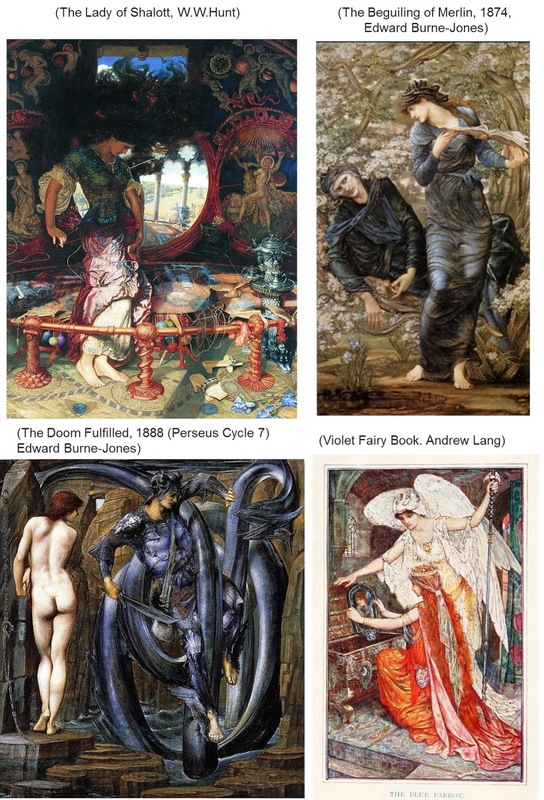 KS: I seem to be drawn to the Pre-Raphaelite artists and so William Holman Hunt, Dante Gabriel Rossetti, John William Waterhouse and the other members of the Brotherhood have created my favourite paintings. 5) Besides writing, do you practice other art? If so, please share which media. KS: I wish. My mother is a fantastic artist, as are my grandfather, my cousins and my eldest daughter. It seems to have by-passed me entirely. My grandmother and uncle were incredible musicians, but I do not possess a musical bone in my body. My father’s side is fonder of putting words to paper, so I seem to have inherited that trait. I do appreciate music and art, though. 6) Any inspirational fine art to share? K.S. Happily. These are some of my favourites and there is a lot of symbolism contained in these images, while telling stories that are familiar to us. 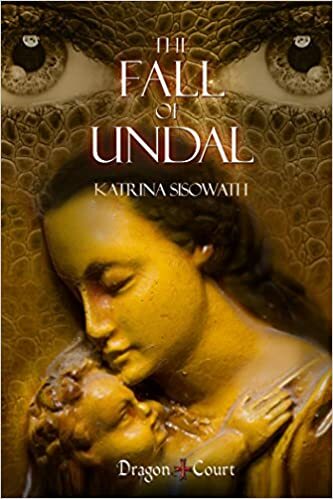 The Fall of Undal is out now via Amazon website globally (US centric link provided). “The lines are drawn between the Royal House of Undal and the Dragon Court, led by the Royal House of Magan. Cronous and Rhea have gathered to their side ten nations, forming their own empire, one great enough to confront their former friends and allies. Yet victory is not assured. The Annunaki have their own plans on how to deal with the upstart King and Queen and they keep their own counsel, leaving those that serve them uncertain of what is to come. With both sides forced to seek out new allies, to make and carry out plans never before conceived in order to win the war, who will go too far? At what point will one side tip the balance in war and unleash devastation upon the entire planet? Drawing upon accounts of devastation and global war from ancient texts (including the Bible) and exploring the concept of ‘passing through fire’ and the Baal rites, The Fall of Undal is the thrilling conclusion to The Doom of Undal. Tales of Direk - Lord of Vengeance - Review by S.E. “There is a monster for each of us to face. Some we conquer; some we flee; some we negotiate with; some we suffer; some we… become.” editor Jason M. Waltz. So opens Jason M. Waltz's introduction to Rage of the Behemoth--it is appropriate to quote it in this review of Vengeance is My Lord's: Tales of Direk, Lord of Vengeance for two reasons: (1) the hero Direk is tasked with serving the King and is granted magical/god-like powers to deliver vengeance; each instance he calls upon his shadow powers to perform a killing he is consumed a little bit more, and transforms from a human into a monster; (2) Jason Waltz is transforming himself too, in a great way, from editor to author, so noting his past achievements and trajectory in heroic fiction is a must. Under the banner of Rogue Blade Entertainment, Jason edited the above mentioned Rage of the Behemoth which was a superb thematic anthology following the landmark 2008 Return of the Sword (a must read for heroic fiction fans). Demons: A Clash of Steel Anthology was a fair third in the series. Jason Waltz then delivered his first nonfiction collection Writing Fantasy Heroes, with insights from a panel of notable authors (Orson Scott Card, Brian Sanderson, Steve Erikson, Glen Cook, Janet & Chris Morris, Ian Esslemont, Paul Kearney, Howard Andrew Jones...etc.). In all these books, he always provided awesome introductions which were as compelling as any of the stories. With Vengeance is My Lord's: Tales of Direk, Lord of Vengeance, he introduces us to his own dark hero. In addition to being cursed/empowered by dark powers, he also carries a sword named Retribution. There are other swords in existence i.e., Justice which are bound to the avatar wielding it. It's a simple but awesome premise delivered excellently. Any criticism of this would be that it is very short, just two stories...one of which has been published already ("As Retribution Falls, so too Truth" which had appeared in Tales of the Black Arts: A Sword and Sorcery Anthology, and "Collecting Vengeance". That said, it was very affordable and marks the beginning of what promises to be an awesome series (note that the book is labelled Volume 1). I am anxious to learn more of Direk's plight, why he became a servant of the Kind Wincuff and the gods Otuus & Ez-Wrayal... and what will become of his as he transforms completely into a demon. 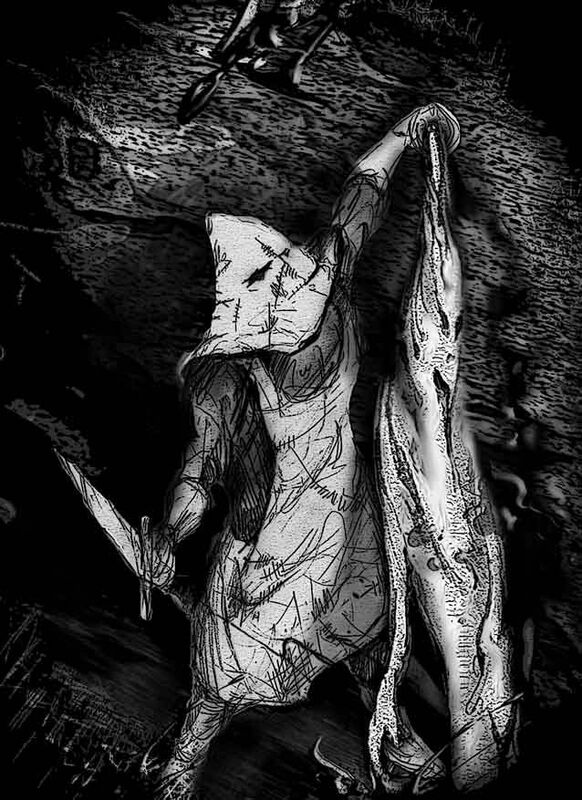 Jason Waltz is dedicated to the Sword & Sorcery / Heroic Fiction genre, and witnessing the birth of his inner-monsters is a pleasure. The artist of the cover is noteworthy. Didier Normand provided coverart and interior illustrations for Rage of the Behemoth and has established relationship with Rogue Blade authors such as Jason Thummel to provide cover art.